Kyle O’Connor declared that his squad take great pride in earning supremacy over rivals Padiham. 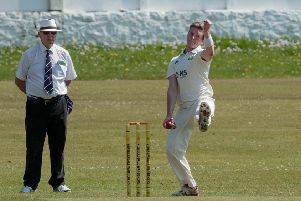 Read reigned supreme the last time the two sides met in the Ribblesdale Cricket League, with Joey Marshall’s knock of 78 combined with skipper O’Connor’s 46 contributing to a 111-run win at the Arbories almost 12 months ago. Ahead of Saturday’s game on home soil, the Whalley Road captain said: “This is our biggest game so far. We take a lot of pride in beating our rivals. Read suffered mixed fortunes in their recent outings. Marshall and O’Connor headed the high scores again, firing 63 and 38 respectively as Read reached 227-9 while professional Keegan Petersen limited the visitors in their reply. The South African claimed 5-68 to claim a 13-run triumph. “We played well as a side on but we still weren’t at our best,” said O’Connor. “Joey’s knock of 63 was very good even though he benefited from some luck. However, Read slumped to defeat 24 hours later as Settle’s dominance condemned them to a Ramsbottom Cup exit. Visiting paid man Imran Khalid smashed 114 runs, including 18 boundaries, as the away side accumulated 299-8. Petersen top-scored for the hosts with 62 but William Davidson’s six-wicket haul ensured that Read fell 170 runs short of their target. “Unfortunately our performance slipped,” O’Connor said. “We didn’t bowl too badly but Settle played really well. Only Petersen and Gorton (37) earned their runs.